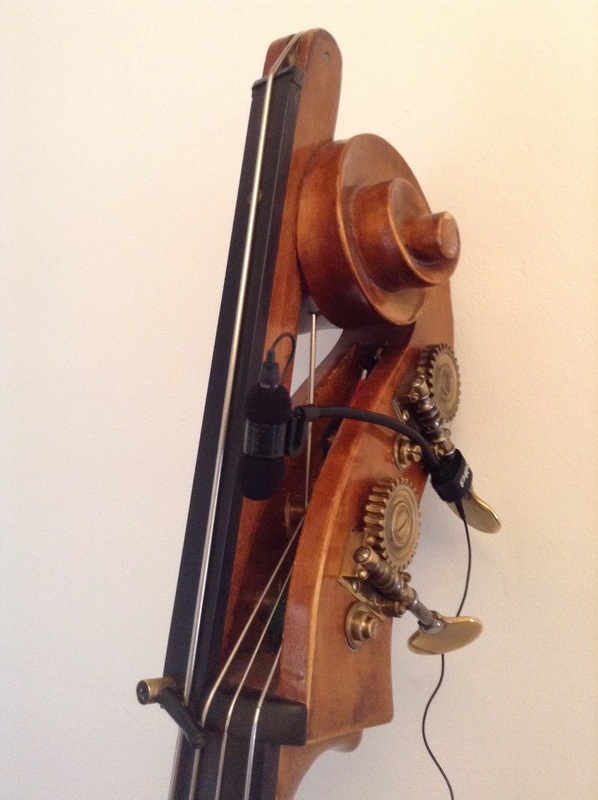 The sound of the double bass is a combination of various elements. The predominant sound perceived by the ear is produced by the vibrating string but there are other resonances which are not immediately audible which nevertheless for an important part of the resultant aural picture. Methods for amplifying these areas are discussed below. When the normal playing length of the string is activated and fingered by the left hand, the Bitone length vibrates in sympathy. Several composers and improvisers have exploited amplification in order to bring such areas to the foreground by suspending microphones from the scroll, or by modifying an instrument and building pickups in to the fingerboard itself. Microphone suspended from scroll and attached with a lead-tie. 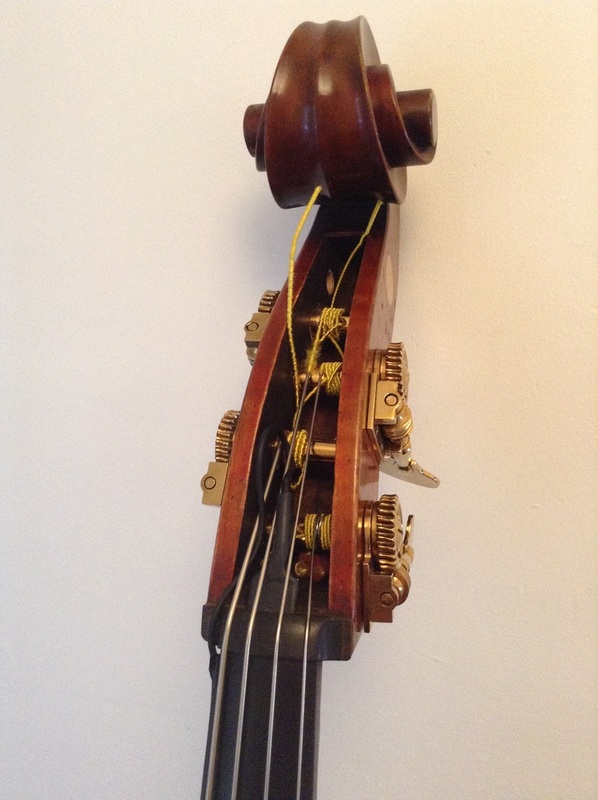 My own solo instrument is modified with a pickup embedded in the nut to exploit bitone length amplification. 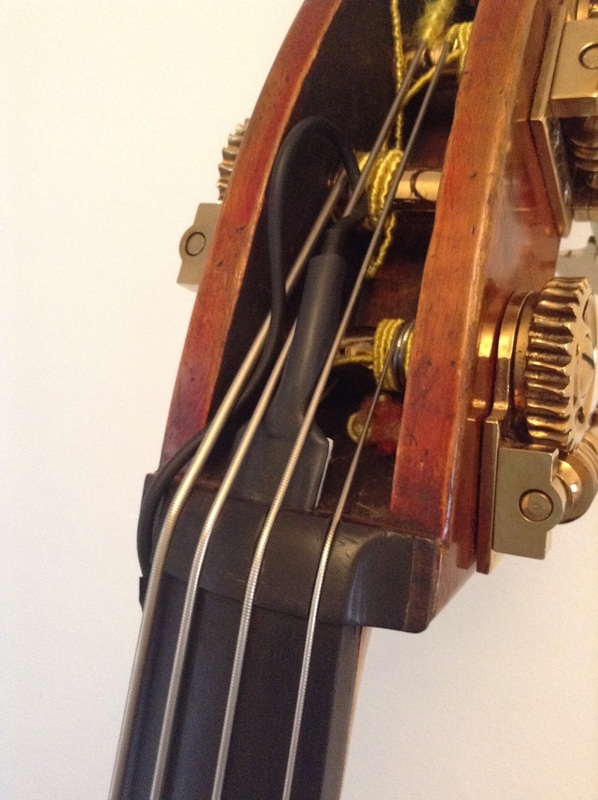 Other bassists such as Mark Dresser have modified the instrument by embedding pickups into the fingerboard itself. These are non-standard modifications and, unlike the above method, are constantly in situ. By using contact pickups, the various body sounds can be amplified.